Brando, Steve, and I have a special reason to look forward to Independence Day this year. As we did last year, we’re going to be marching in the Coronado Parade. But this year, the participating CCI pups will include a puppy precision drill team. It promises to be a blast. Look for video here, hot on the heels of the big event! He’s one-year-old today! 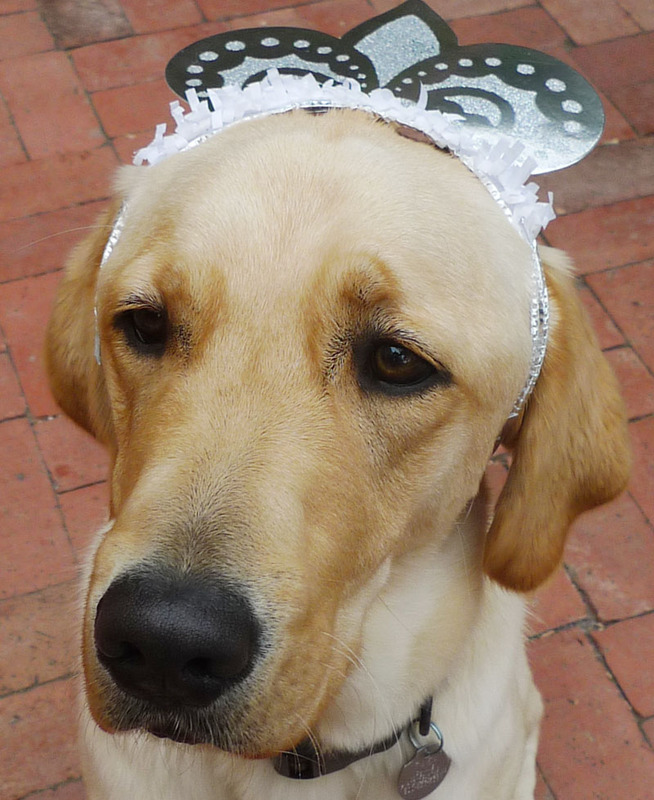 And such an obedient fellow, sitting so nicely with his birthday crown. No cake for him, because he’s only supposed to eat dog food (ha! ), but we did have a party of sorts. Riley and Cassidy, the two 11-year-old Golden Retrievers from next door, have been visiting us for the past few days, while their pack has been off in Las Vegas. Riley and Cassidy are very chill guys. They wag their tails, they smile, and mostly they just lay down and look around, or they nap. But they do lend a more festive air to the patio, and even if they won’t wrestle with him and chase him around, as he would like, Brando seems to welcome their arrival every morning. 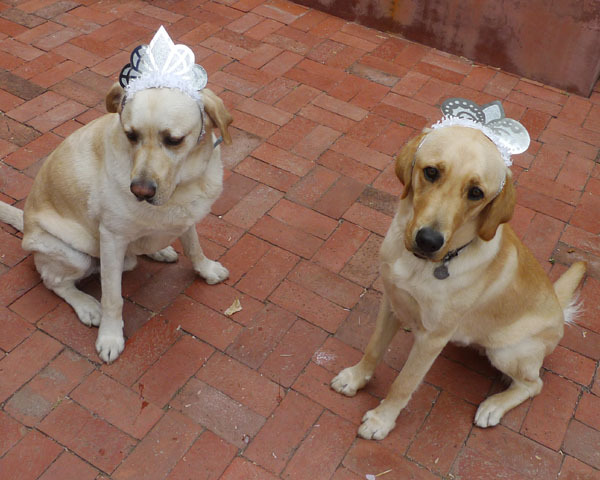 Only Brando was good enough to tolerate the party crown for long, though Tucker tolerated it briefly.